As technology evolves at an increasingly rapid pace, so do the number of channels that sales professionals can use for sourcing and reaching prospective clients. As needs change over the course of the buying process, and as you move further down the funnel, which of these avenues are best to build trust? The trends among the usage of SMS, email, phone, and social media continue to emerge, and we go over new findings that will give you some shock and awe over what you think may be the reality. 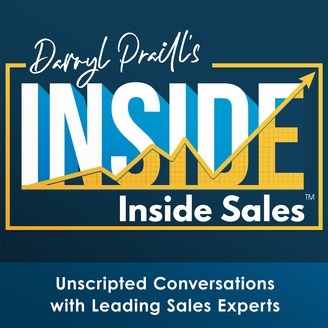 In this episode of INSIDE Inside Sales, you will learn about the new best practices for using a multi-channel approach. We’ll go over the benefits of using certain channels, and the potential consequences from neglecting changes in current trends. We’ll also discuss cadence strategies and how to overcome the mental roadblocks many sales reps have towards using all of their available channels. Chad Burmeister is Founder & CEO of ScaleX.ai and BDR.ai (a ScaleX Company).Chad was the founding Chapter President of the Silicon Valley AA-ISP Chapter and has volunteered over the past seven years to help advance the profession of Inside Sales to the next level of professionalism and performance. 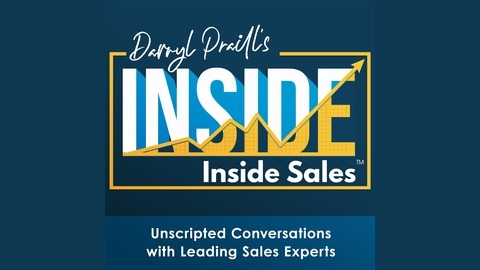 Chad was voted Top 25 Most Influential Inside Sales Professional by the AA-ISP 10 years in a row (2010 - 2019). Others describe Chad as high energy, high integrity and has an extremely high ability to execute. Chad is an author of three books including SalesHack - The Original 25 Sales Hacks, SalesHack 2, and ScaleX.ai - Multi-Channel Sales Acceleration powered by artificial intelligence.